The Pilot, Captain Douglas Roe was in the process of converting to the F-101B and becoming "alert qualified";. 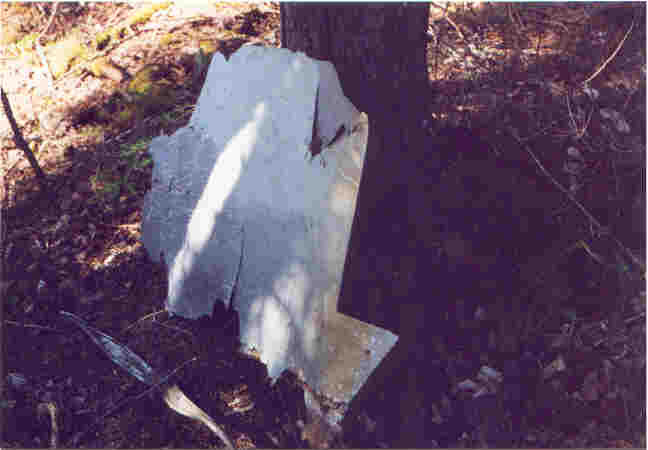 At the time of the accident, the aircraft and crew were executing a "snap up" attack on a target aircraft. Due to an inherent problem with the F-101, combined with some weight and balance issues, the aircraft suffered a pitch up condition and departure from flight, entering a flat spin at 45,000 feet. Attempts to regain control failed and the crew decided to eject as the aircraft passed 10,000 feet. Captain Charles McClead, the Radar Intercept Officer (RIO) ejected successfully. 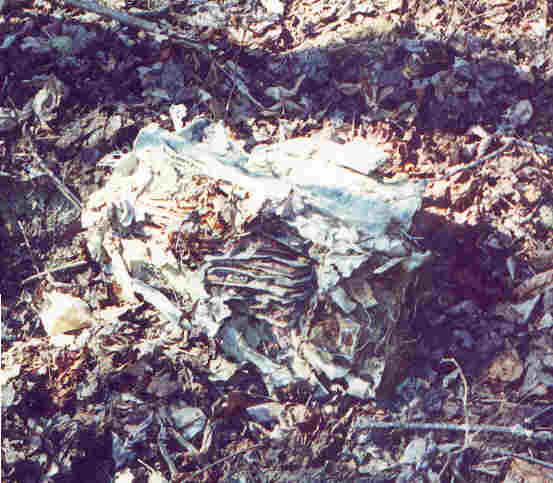 Captain Roe ejected outside of the envelope of the ejection system and died in the crash. For the complete story, see the ARTICLE "Mayday at 45,000 Feet"
This photo, taken in the fall of 1999, shows the crater today. 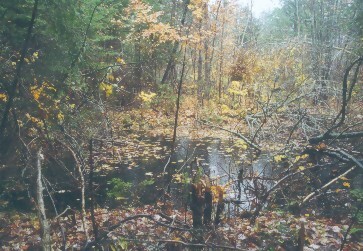 It is filled with water and resembles a natural pond. 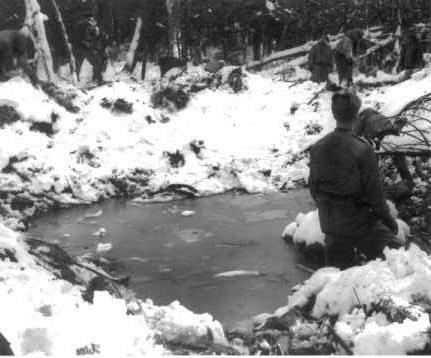 This Bangor Daily News photo shows the 30' by 15' deep impact crater shortly after it was located in November 1962. 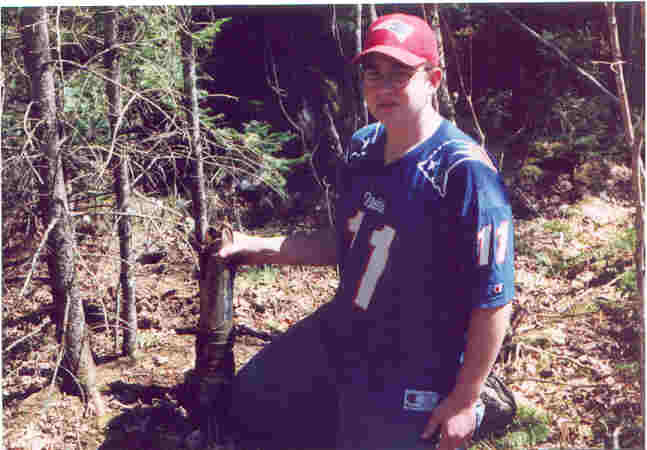 Derrick Grant with the first piece of "405" that we located in our April 1999 search for the site. 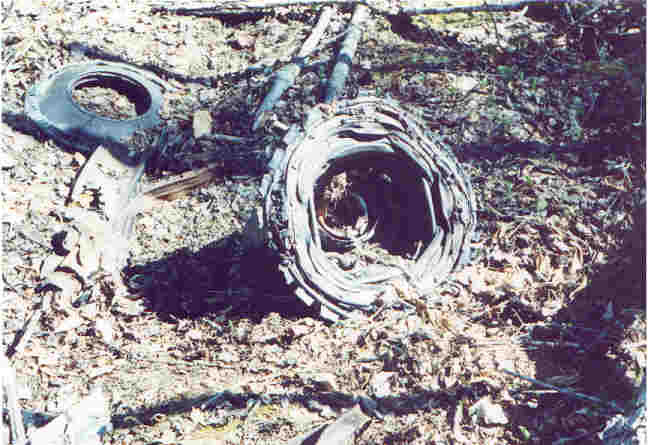 This main landing gear strut is over 300 yards from the impact crater. A section of "stabilitor" from the F-101's "T" tail that caused the tendency to "pitch up"during high angles of attack and high "g" maneuvers. Parts of the air intake duct to one of the engines. 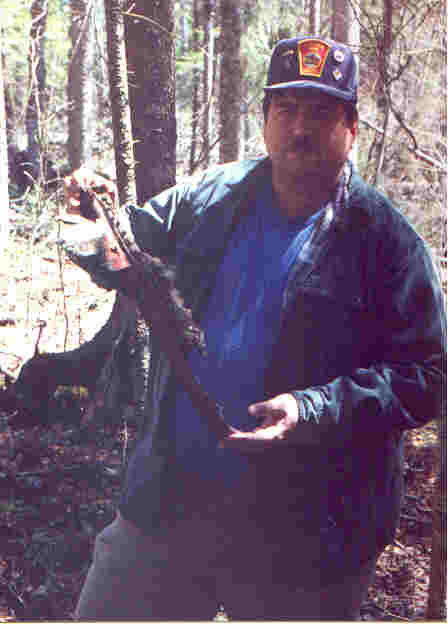 Pete Noddin holds a stringer from the missile bay area of the fuselage, found about 100 yards from the point of impact. 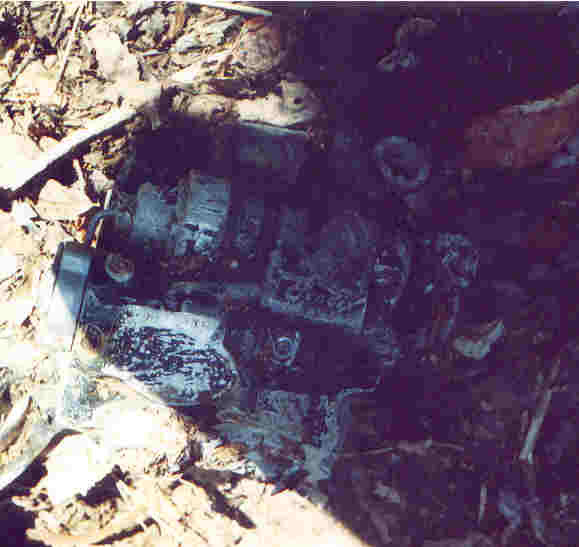 A part of the avionics made by RCA.